Dr. Leah Zelnick, freelance violinist, chamber and orchestral player, and Suzuki-trained violin and piano educator, holds a Doctor of Musical Arts degree from Stony Brook University (May '11), where she studied with Philip Setzer and Pamela Frank. She received her Master of Music degree ('07) from Stony Brook, under Ani Kavafian, Pamela Frank, and Philip Setzer. Her Bachelor of Music degree ('05) is from Cleveland Institute of Music with William Preucil. Leah has performed with orchestras and chamber ensembles and soloed around the U.S., Europe, and parts of Asia. One of her greatest honors was being chosen to perform for the Crown Prince and Princess and an audience of thousands at the Opening Ceremony for the 13th World Suzuki Convention in Matsumoto, Japan in 1999. 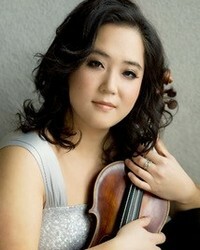 An active performer of contemporary music, Leah has participated in New York and Manhattan premieres of several works. She seeks out modern music projects and has collaborated with many living composers, including Scott Wheeler, Joan Tower, and Flo Menezes among others. Chamber music and individual masterclasses include members of the Emerson, Cleveland, Miro, Shanghai, Pacific, Brentano, and Miami Quartets, Midori, Colin Carr, Gil Kalish, Tina Dahl, Eduardo Leandro, Soovin Kim, and Kurt Muroki. Dr. Zelnick remains dedicated to teaching and has currently almost completed full Suzuki method teacher training. Additionally, Leah was part of the Quartet-in-Residence at Allegheny College for the summers of 2002 and 2003, and the Quartet-in-Residence at the Upper Valley Music Festival in the summer of 2007 with teaching and performing tours of Vermont and New Hampshire. Leah has been a guest teaching artist at the Summer Chamber Music Festival at Winchester Community Music School. She recently completed six years on faculty at Pakachoag School of Greater Worcester in Auburn, MA, as well as three years in the position of Student Performance and Outreach Coordinator where she assisted with development and administrative work. In 2011, she took full examination and received her Massachusetts educator license. Leah maintains a private studio and performs actively in and around the New England area.